On April 2, the hard work of volunteers restoring the native habitats of Mt. 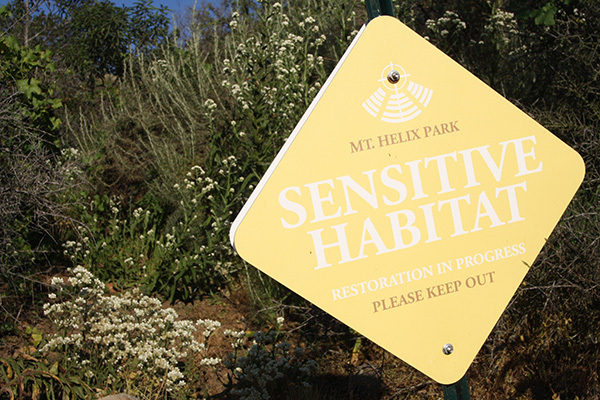 Helix Park was recognized when the California Native Plants Society (CNPS) included the park in its Garden Native tour for the first time. To be included in the tour, the park had to meet a threshold of 80 percent native plants and be an interesting place to visit, said Mt. Helix Park office administrator Peggy Junker. The focus on promoting native gardens in the park is relatively new, thanks to a couple of restoration programs. In the fall of 2013, the Mt. Helix Garden Party was formed to preserve and beautify the park landscape. In November of 2015, the Garden Party added the Adopt-a-Plot program, where volunteers take responsibility for a part of the park’s landscaping. Junker and Garden Party team leader Caroline Harrod credit much of the success of the programs to Ed Piffard, whom they call the park’s “plant aficionado.” Piffard has been working with native plants for 25 years, even though it is not his professional business. Knowing the difference between native plants and weeds is the most important skill for the volunteers who adopt plots to restore. After signing up for a plot to take care of, volunteers must go through training to identify the plants the park wants to keep and those that are weeds to abate. Volunteers are also given a lanyard with pictures to help identify the plants and if there is still a question, they text photos to Piffard to make sure they are not removing an important native plant. The native plants and seeds are mostly donated from individuals who belong to groups like CNPS, which recently facilitated a $250 donation to the park from Tree of Life Nursery. But the park is careful not to accept any donation of plants, no matter how good the intention, because people’s perceptions of what are and aren’t native plants varies, Harrod said, adding that a lot of people clip succulents from their gardens without realizing that most succulents are actually exotic plants. “The succulents don’t provide a bush to nest in and they really don’t provide the flowers and the blooming for the pollinators to be going in and out of all year long and that’s why it’s so important to have these native plants, because we’re bringing back the wildlife,” Harrod said. For the most part, Piffard said, the park doesn’t need many plants; in fact, the biggest cost of the restoration project is purchasing trash bags for the weeds because weeding the plots is the most important, and most difficult, aspect of the project. 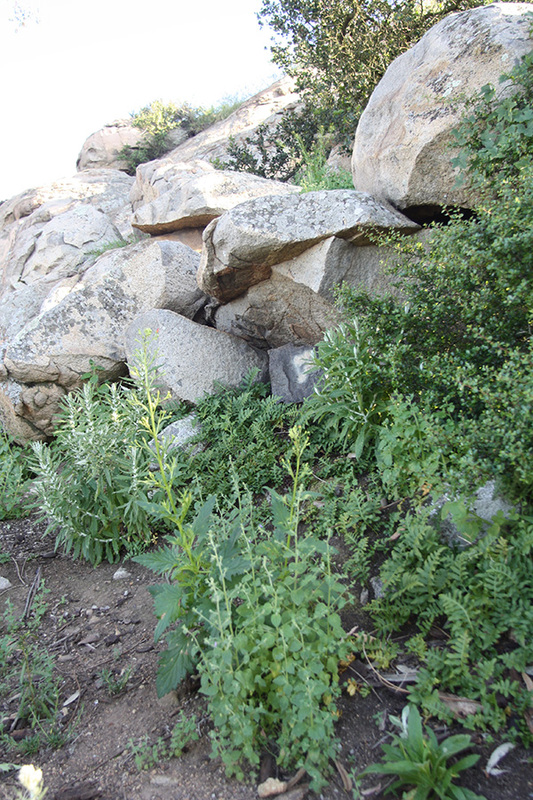 Although the native plant life on Mt. Helix has improved since the restoration project began, there is still work to be done. Right now, most of the plots being adopted are along the Yawkey Trail, and only a quarter of the park is being maintained by the program, Junker said. 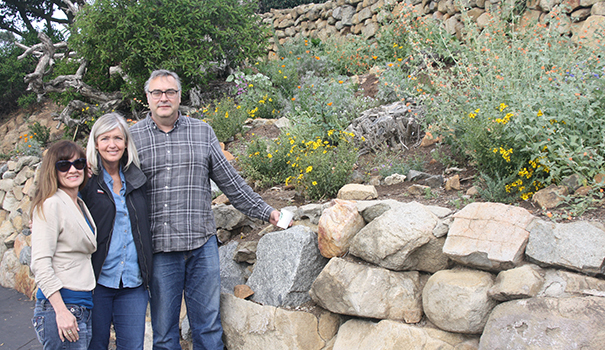 Flietner anticipates the CNPS Garden Native tour will be back in the La Mesa area again in 2020 and said it would be great to see the progress made on the restoration project between now and then. 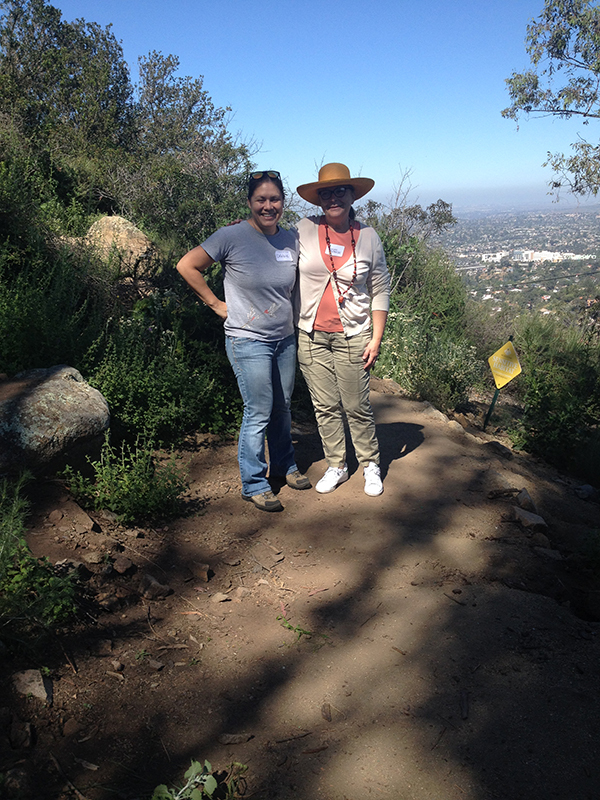 Harrod said she looks forward to their return, and to once again show off the work the volunteers do to maintain the park’s native beauty and bring recognition to one of La Mesa’s prime jewels. For more information on the Mt. Helix Garden Party and Adopt-a-Plot programs, visit mthelixpark.org. For information about CNPS Garden Native tours throughout the county, visit garnennative.org or cnpssd.org. —Jeff Clemetson is editor of the La Mesa Courier. Reach him at jeff@sdcnn.com.